The Triumph 400T Treadmill features an 18" x 47" running surface to accommodate your stride and the AERO soft cushioning system to offer support and shock absorption throughout your workout. Triumph 400T is driven by a 1.50 CHP motor and its Three red LED screens clearly display your exercise information, and the 0 - 5%, 3-position manual incline lets you adjust the level of difficulty. The latest cost of Triumph 400T Treadmill will be updated soon. *Note: Most of the sites, stores or shopping portals listed above sell Triumph 400T Treadmill with discounts and other exciting offers. There is a possibility that the some of above websites are not selling Triumph 400T Treadmill now. Toughtrain.com is not liable for such cases or instances. Also we do not recommend any seller for Triumph 400T Treadmill and a buyer should buy from where he/she gets best deal with quality of products, service and on time delivery (shipment). Such a waste of money…. bought this machine last winter and could not use it for a month and then it starting troubling. Initially some internal electrical matter and then the display. Irritated with its service too… very delayed service. Regretting now…. Though my piece of machine is running good from last 4 months (after its 1st service of motor), i will not recommend this machine. Its has many draw backs like lack of advanced features as its a common in even very low budget treadmills, besides it has a very small screen and many more. Go for some other machine of the same, they definetly have amazing features. Is it really true that this machine is having these many….issues? Bought one, 1 years back and its still the same, no issues, not even a single issue….. so was shocked reading all the -ve reviews. Completely satisfied, do verify well before buying. I love working on this machine , though its not comparable to other treadmills. But at this price range which is so affordable i will say that this is the best machine out there at this range and at the features installed in it. I really recommend this machine for those who are seeking a budget treadmill. Buy only if your looking for a casual walking and jogging. Its not suitable for running. In fact fact its true, you cannot expect much at this price. 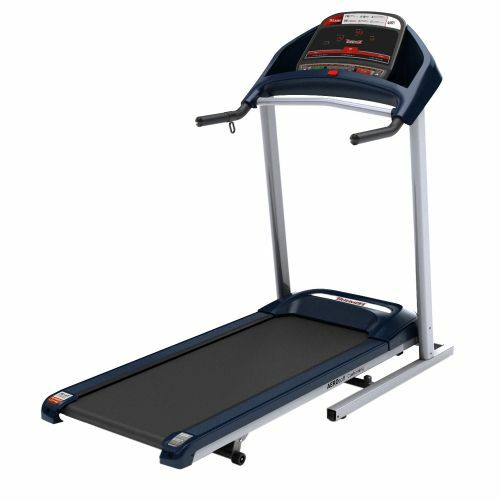 Superb effect.. great treadmill with a wide running space and smooth cushioning. One thing that may hurt you that it does have that many entertaining features. Apart its a great deal at this price. Loving it,its seems to be one of my best choice. It has a really comfortable deck to run. I’m very much convinced with its console and most importantly its affordable price. This treadmill redefined workout for me. Pathetic waste of money! Console board went out within a year with very little use. Part costs more than 2 of the treadmills are actually worth! Looking for a safety key for the 400T. Any out there? Second treadmill I’ve bought, second treadmill that’s concked out. Same brand and model. I’ve learned my lesson. You can’t go the cheap route with this, you’ll just end up paying more money. Just save for a better one folks. How does it measure your distance?